From government and philosophy to art drama and culture, the ancient Athenians, as most everyone knows, gave future generations so much. Yet the pinnacle of their artistic achievement, the Parthenon, remains a damaged and incomplete work of art. 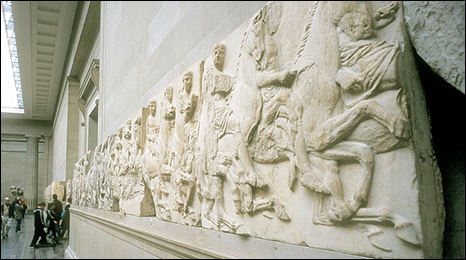 2012 marks the two-hundredth anniversary of the last removal of works of art from the Parthenon. That taking was ordered by an English diplomat known to history as Lord Elgin, and it reminds us that cultures create lasting monuments. But not equally. Cultures which remove the artistic achievements of other nations have increasingly been confronted with uncomfortable questions about how these objects were acquired. Nations of origin are increasingly deciding to press claims for repatriation of works taken long ago. They proceed through history mindful of the irresistible genius of their forebears have created and are unwilling to cease their calls for return. The majority of the surviving sculptures from the Parthenon in Greece now are currently on display in the British Museum in London. The Greek government and cultural heritage advocates, have been asking for reunification of these sculptures in the New Acropolis Museum in Athens. Greece has offered a number of concessions, but the British Museum and the British Government have repeatedly refused to seriously discuss reunification. 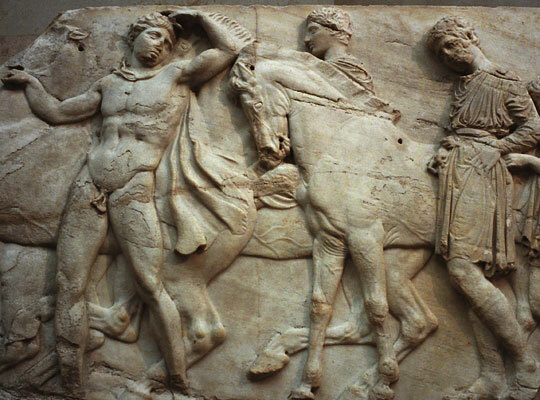 Mounting pressure on the British Museum, and the inescapable fact that the Parthenon was an ancient unified work of art both mean that the Parthenon marbles will either eventually be returned to Greece or subject to an endless repatriation debate. Here I offer a series of principles which the Greeks and the British Museum can take to jointly create a just return. Because the way the British Museum and Greece resolve this argument will have much to say for the future of the management of our collective cultural heritage. I hope to find a good placement for the piece this fall submission cycle. As always, I’d be very grateful for any comments, criticisms or suggestions (derek.fincham@gmail.com). And in the end patrimony is about ownership, often of objects that as in the marbles’ case, come from bygone civilizations. What, in this context, does it really mean to own culture? Italy recently celebrated the return of a national treasure after the Metropolitan Museum gave back a sixth-century B.C. Greek krater by the painter Euphronius that tomb robbers dug up outside Rome during the 1970s. Stolen property is stolen property. But how curious that an ancient Greek vase, which centuries after it was made came into the possession of an Etruscan collector (a kind of ancient Elgin) living on what is now the outskirts of Rome, and then ended up buried for thousands of years below what became modern Italy, is today Italian cultural patrimony. By that definition, Elgin’s loot is arguably British patrimony. Thought-provoking stuff, well worth a read. Michael Kimmelman, Who Draws the Borders of Culture?, The New York Times, May 4, 2010, http://www.nytimes.com/2010/05/09/arts/09abroad.html?partner=rss&emc=rss&pagewanted=all (last visited May 6, 2010). “Everyone understands what is missing”. Acropolis Museum director Dimitrios Pandermalis says his aim is to reunify the entire composition close to its original setting. Poggioli Sylvia, Greece Unveils Museum Meant For ‘Stolen’ Sculptures, NPR. With the opening of the Parthenon Museum coming soon, there was bound to be a great deal of discussion of the proper place for the sculptures, which always seems to return to the question of whether Lord Elgin’s taking of the sculptures 200 years ago was rightful, wrongful, illegal, unethical, or a combination of the above. Part of this has taken the form of a back and forth over whether some kind of loan arrangement could be arranged between the Greeks and the British Museum. The Guardian reports that the dispute has “indirectly dragged in the Queen, the Greek-born Duke of Edinburgh, and Gordon Brown.” It also quotes Antonis Samaras, who rejected the very tentative loan proposals because they would somehow legitimize Elgin’s taking of the marbles. That is unfortunate I think, because focusing on the circumstances surrounding the taking are almost certainly going to prevent any kind of resolution to the dispute. Three months won’t be enough to take them out of their boxes . . . . As a time frame, it’s bizarre. And agreeing to the condition [of ownership] would be like sanctifying Elgin’s deeds and legitimising the theft of the marbles and the break-up of the monument 207 years ago. No Greek government could accept that. For the first time, they are opening a window. They see they have to do something, now that the new museum is here. I inadvertently caused a minor stir among some commenters earlier this week, including Kwame Opoku when I argued that Greece has no tenable legal claim to the marbles. By that I mean, if Greece were to bring suit againt the British Museum, its trustees, or even the Government, it would have absolutely no chance of succeeding in court, because far too much time has elapsed, and it is not clear I don’t think that the taking of the marbles was illegal under early 19th century legal principles. I do not think any court would recognize the takign of the objects as theft, nor am I aware of any international agreements that would consider the removal of the sculptures as theft. If they were taken today, sure, of course they would be theft because they would be owned by the Greek government; but that was not the legal situation 200 years ago. As Damjan Krsmanovic points out at the Assemblage, such an examination leads to one obvious conclusion—that the ethics of the time were wrongheaded when viewed from today’s perspective, but that merely critcizing those actions does not get us any closer to where the marbles belong now. [I]n order to remove the marbles, Elgin needed to obtain a firman (a permit) from the Ottoman authority, which permitted him to remove any sculptures, inscriptions and the like as he saw fit. Because of the unwieldy size of some pieces, a number were sawn into sections for easier transportation. The use of contemporary ethics, which are a product of a particular context and time, is merely going to result in a biased perspective that nullifies the Ottoman law and Elgin’s actions, which are a product of a different social, cultural, and political context. We are left with a very heated, very emotional argument which seems unlikely to be resolved so long as both teh Greeks and the British Museum insist on a kind of public battle for popular opinion. I think—and perhaps it is naive—that a better solution could be reached far sooner by a collaborative relationship, in which some or all of the marbles or even some other objects of antiquity are shared back and forth among the two nations. Greek Culture Minister Antonis Samaras has said his nation is not interested in working out a loan arrangement for the Parthenon Marbles. I can certainly understand that point of view, but at some point don’t we need to move beyond the question of whether that taking in 1801-2 was wrongful; and start asking what is best for the marbles and those who want to learn from them today? I don’t want to belabor the point, but isn’t the fact that the marbles are still on display at the British Museum a pretty strong indication that their removal was legal, or if not, not subject to current judicial scrutiny? We can argue about whether their continued display in London is ethical, but not I do not think a legal question any longer. The government, as any other Greek government would have done in its place, is obliged to turn down the offer,” Mr Samaras said, in a statement. He added that he was prepared to discuss lending Greek antiquities to the British Museum “to fill the gap left when the (Parthenon) Marbles finally return to the place they belong”. Mr Samaras was responding to comments made by British Museum spokeswoman, Hannah Boulton, on Greek radio. She said under existing British Museum policy the museum would consider loan requests by any foreign government, including Greece. But all requests would be considered on a case-to-case basis, taking many factors into consideration, including fitness of the item or items to travel. 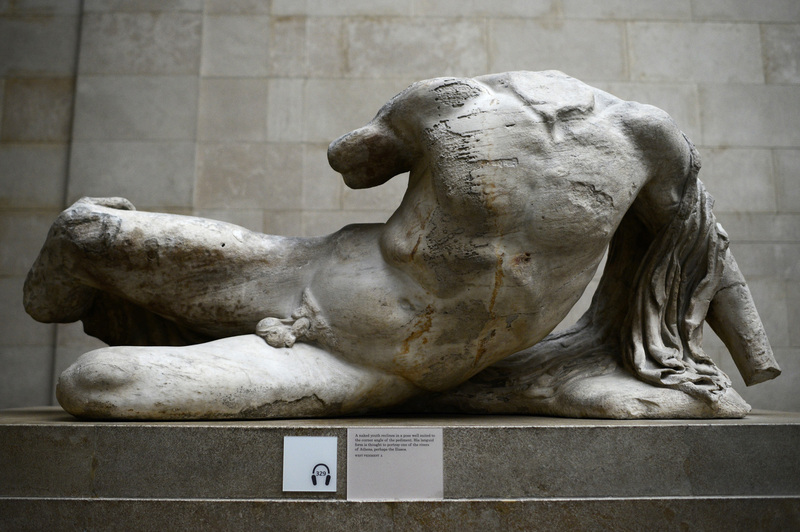 Greece would also have to recognise the museum’s ownership rights to the sculptures, which is a loan condition. Ms Boulton told the BBC that the British Museum had not received a request from Greece, nor had it offered the marbles for loan. Author Derek FinchamPosted on May 25, 2009 Categories UncategorizedTags British Museum, New Acropolis Museum, Parthenon MarblesLeave a comment on "a powerful broadside aimed at Britain"
Over at Elginism there is an interesting April 1st post on the recent discovery of what might be missing stones from Stone Henge. Would the UK government’s stance on the Parthenon Marbles be different if Greece held a corresponding piece of heritage which ‘belongs’ in its original context? The ‘discovery’ has prompted an Early Day Motion today from Andrew George MP. Early day motions are formal motions submitted for debate in the House of Commons, though they are primarily a vehicle to publicize individual views of MPs or draw attention to a specific issue. April 1st EDM’s maybe especially poignant. Yes indeed this was of course a prank, but a clever one, and I thought I gave away that this was a bit of April 1st silliness. Andrew George has been a proponent of returning the marbles. It seems the EDM was not even tabled, as it wasn’t sufficiently based in fact. It’s a nice little hypothetical though, what if the best-known piece of British heritage was possessed abroad; might that make the Parthenon dispute look differently?